Whether you need a few tiles replaced, or an entire new roof, at Titan Roofing we know that protecting your biggest investment is one of your greatest concerns. You need a roof you can trust, and a company you can trust to keep it that way for years to come. A new roof adds value as well as safeguards your home from rainstorms, high wind, fire and weathering. There are now new energy-saving materials, products and systems that can dramatically reduce your energy costs and maximize the long term resale value of your property. 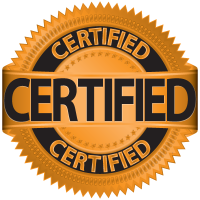 If you’re a Real Estate agent, or selling your home yourself, you need to certify that the roof of the home, or homes you are selling will not leak. Contact us for a thorough roof survey, inspection and certification. We also provide commercial roof management consulting, with customized maintenance programs, as well as Roof Restoration and Cleaning Services.